In case you haven’t checked your calendar, Mother’s Day is two Sundays from now – May 13, 2012! Just to give you some ideas what you may give for your beloved mom, here’s some food (prepared and ingredients) and wine ideas. Modern Bite Bakery has a beautiful and addictive assortment of cookies that are balanced in flavor and not too sweet. 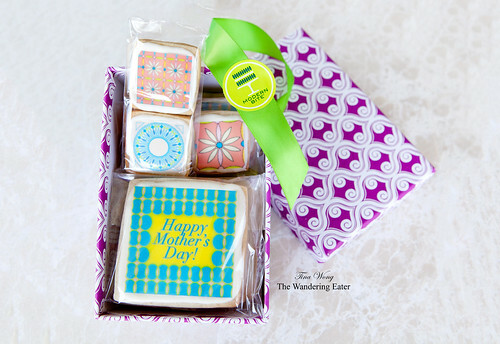 Their Mother’s Day sugar cookies ($42 per dozen) colored in bold and bright colors and patterns that is great any fashionable mom who loves her sweets. For something that isn’t as colorful but addictive is their gourmet classic cookies ($15 per flavor, per dozen). The ones I’ve tried were the sublimely crumbly pecan shortbread cookies and the pecan center was the wonderfully crisp. 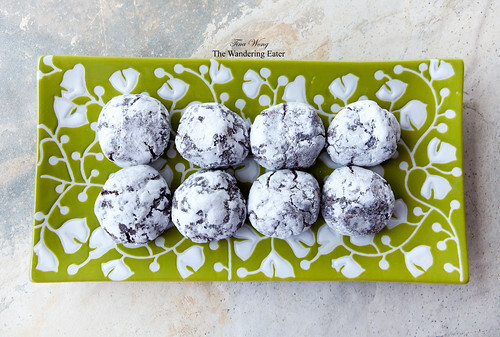 The Mexican wedding cookies were as close to melt-in-your-mouth as a cookie can get. I have shared these cookies with my mom and she can’t stop eating them! The chocolate truffle cookies were my answer to my craving for a fudge-y brownie (but in bite size form). The sweet and salty, and nutty toffee peanut pretzel cookies were for the kind of person who likes the sweet and salty dessert with a crunchy texture from the pretzel baked on top. One doesn’t normally associate beer for mom but my mom does drink beer – and she’s one of those discerning beer drinkers, too so this beer infused ice cream makes sense for her. 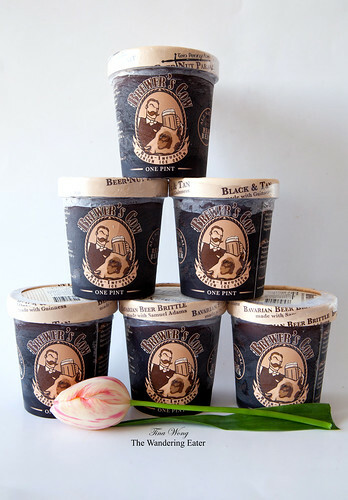 Brewer’s Cow Ice Cream is based out in Old Lyme, Connecticut. 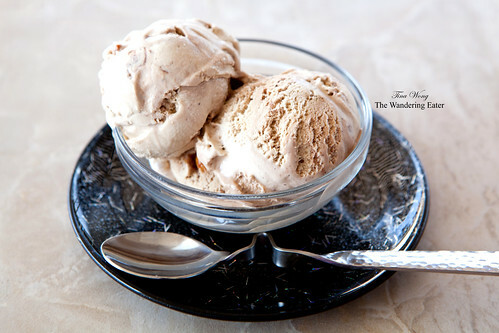 They are one of the few artisan, premium ice cream makers (as far as I know) that make this type of ice cream. The three flavors Brewer’s Cow have now are Ten Penny Beer Nut Parfait Ice Cream (made with Ten Penny Ale), Black and Tan Ice Cream (made with Guinness beer), and Bavarian Beer Brittle Ice Cream (made with Samuel Adams beer). All were dense, rich, creamy and well balanced with the specified beer. Since I like to drink stout, the Black and Tan won my palate’s preference and this ice cream flavor was the most intense beer flavor of the three. I would serve the Ten Penny Beer Nut Parfait Ice Cream, if it was a person who is adverse to beer’s bitter nuances. The Bavarian Brittle is middle-of-the-road in terms of beer flavor potency and the chunks of sweet brittle was a good counterpoint to the beer ice cream. Their ice creams can be purchased at their website as linked above ($67 for 6 pints, includes all 3 flavors, not including 2-Day shipping) or the following Whole Foods Markets: Hingham, MA, Glastonbury, CT, West Hartford, CT, and Cranston, RI. 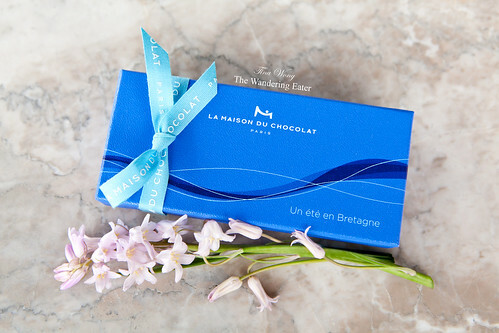 La Maison du Chocolat has recently released “Un été en Bretagne” (translates to: A Summer in Brittany) summer collection with the newly appointed Creative Director, Nicolas Cloiseau. The inspiration was based on the Bretagne (or better known as Brittany). This collection contains five new bonbons. 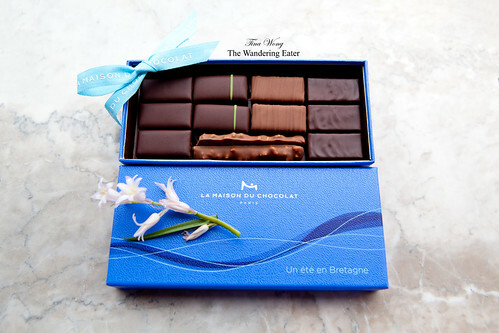 The perfectly blend salted butter caramel in a creamy milk ganache, crunchy chocolate enrobed twigs of Breton sablé cookie, a dark plain ganache with spicy notes, a dark praline blended with the delicate crispy crêpe of Brittany, and dark ganache blended with apple compote. The box seen above is 12 pieces for $24. Available through their online shop or their standalone boutiques. Torn Ranch is a manufacturer and purveyor of gourmet specialty foods located in Northern California (in between Napa Valley and San Francisco). Most of the time, I hear or read that you would pair a certain wine with a particular chocolate bonbon or chocolate type. They took it one step further by literally combining rare vintage port wine, sparkling champagne, buttery chardonnay, and a full bodied cabernet are joined together in blissful harmony with their milk chocolate. 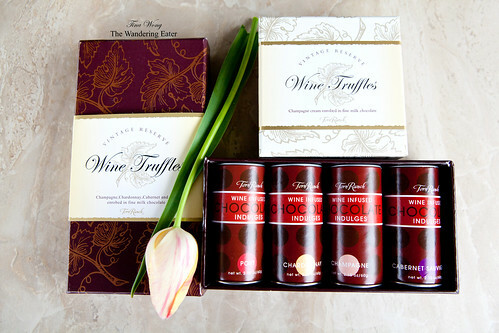 Prices: Assorted Wine Truffles Box (8 piece) $20; Champagne truffles (4 piece) $10; Wine infused Chocolate Indulgences $22 (includes 4 different wines/tins)). 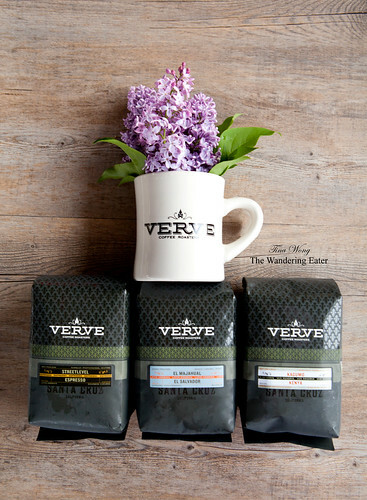 For the mom who is a discerning coffee drinker, Verve Coffee Roasters is a good option for her. Verve is based out in Santa Cruz, California, and supports the producers and exporters who grows the best green coffee beans – which in turn, makes a great cup of coffee for you (or your mom) in the morning. Their Kenya Kagumo (VCR Reserve) ($23.40, 12-ounce bag) had Earl Grey-like complexity and sweetness and hints of nut-toned cocoa in aroma and cup. Bright acidity with lightly syrupy mouthfeel. The lemon and cocoa notes carry into a crisp finish. It’s a crisp, cleanly bright breakfast cup and it’s best to drink without milk, in my opinion. The El Salvador El Majahual ($18, 12-ounce bag) was sweetly tart, wine-toned fruit dominates in aroma and cup, with hints of pungent cedar and crisp cocoa. Gently bright, wine-like acidity and rich mouthfeel. Their signature Streetlevel Espresso ($15, 12-ounce bag) had prominent notes of soft citrus and floral spice. The classic heavy body remains a constant as the three Guatemalan coffees (sourced from El Tambor, La Florencia, a d Acafesam) hint at chocolate syrup. Robert Lambert has one of the more unique and unusual marmalade out in the market. The Ramgpur lime marmalade ($16) tasted like bright, smoky, sour mandarin orange and it’s great with a cheese platter or roasted meats like pork. The fig jam ($14) is made with a blend of turkey and black mission figs from old trees in Napa, California with a fine French cognac, Meyer lemon, raspberry, cinnamon, ginger. Honestly, I’m addicted to anything fig so I don’t mind eating it straight from the jar with a spoon! 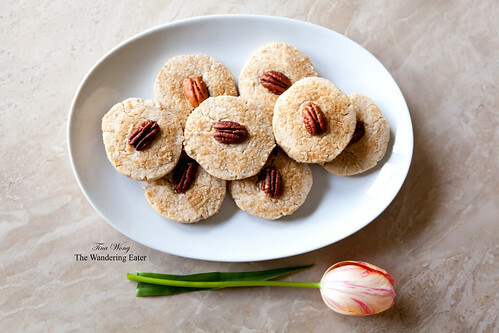 But those who like to accompany it with food, it’s great with cheese and I would imagine it would be great to bake with as buttery, jam thumbprint cookie. The malted milk chocolate sauce ($14) is made from creamy Swiss milk chocolate blended with malt, triple Madagascar vanilla and Jack Daniels bourbon. It’s best served with homemade vanilla ice cream. Simple as it sounds, it’s the best way to showcase that chocolate syrup. 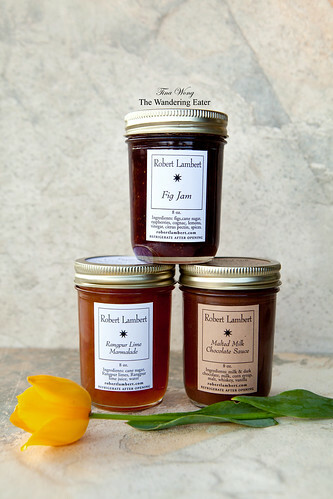 Robert Lambert’s products are available at his website, as linked above, or locally in NYC at Dean & Deluca. 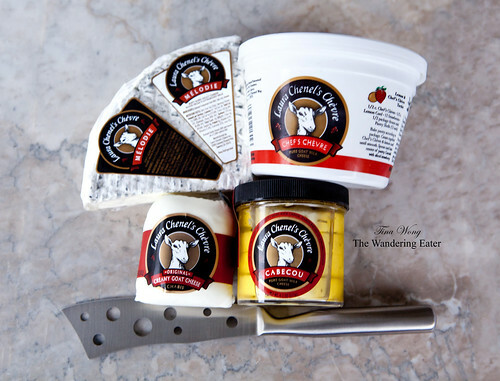 Emmi Roth cheeses creates tasty cheeses of many different types of varieties from European styles to American. Their fondue kit ($11.99) is a prepared kit containing the appropriate amounts of Swiss cheese, wine and seasoning. 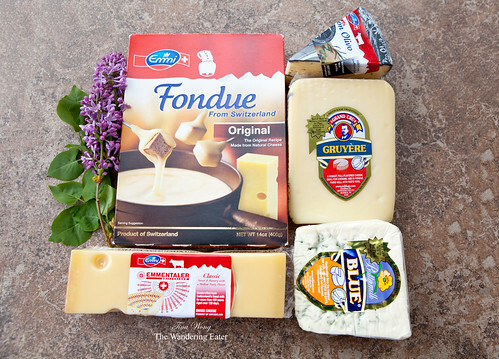 All you have to do is find a fondue pot (or even a saucepot) and heat up this mixture and serve; making it easy to have a little fondue party. 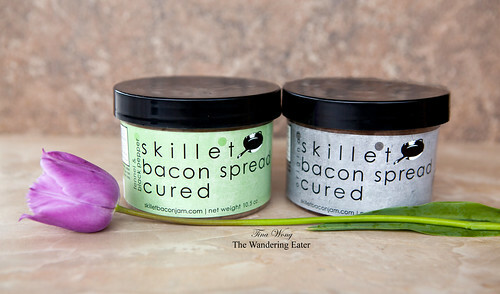 Skillet Street Food‘s skillet bacon spread is a pretty intense bacon spread. It’s sweet, smoky and savory, almost barbecue-like flavors but of course, with shreds of bacon. You can serve it warm with toasted bread or even add some into quiche with caramelized onion. These are cooking ingredients or baking mixes for the moms who like to cook or bake. 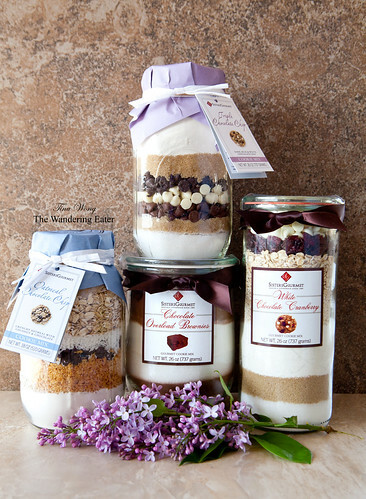 Sisters Gourmet creates gourmet baking mixes that would impress anyone who likes to make baked goods that are easy and straightforward without needing to measure everything – all you need to add to the mixes are usually butter and have a greased/prepared sheet pan or brownie pan to bake in. The Chocolate Overload Brownies ($15.99) were decadent and fudge-y; the white chocolate cranberry cookies ($15.99) were chunky and delicious; the oatmeal chocolate chip cookies was probably one of my favorite oatmeal cookies I’ve eaten as of recent; their triple chocolate chip cookies was chocolate decadence for the three kinds of chocolate and it’s the cookies are nicely chewy. 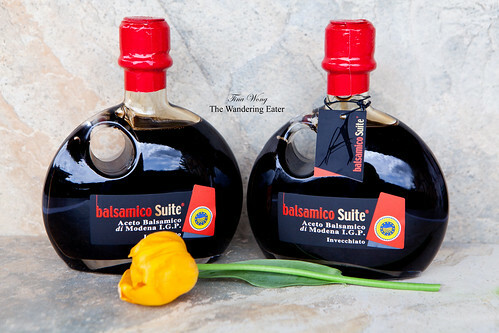 I’ve recently “discovered” Acetaia Bellei beautifully aged balsamic vinegar. It’s sweet, viscous, syrup-like vinegar is complex and special that I’d drizzle on salads or even add on vanilla ice cream, in lieu of other toppings. Available at Dean & Deluca $35 each. 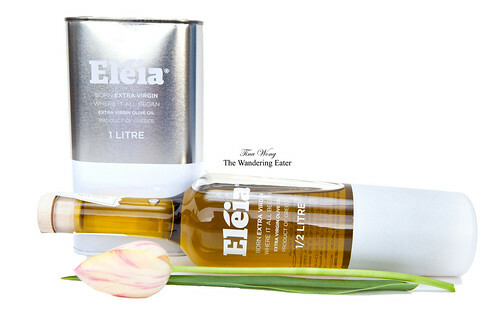 Eléia Greek extra virgin olive oil grown in one of the largest olive groves in Greece with around 40,000 trees in the Lechaina Plains in the South Ilia prefecture. It is one of the fruitiest olive oils I’ve had in a long while. From the beautiful, streamlined glass bottle to the gorgeous transparent olive green oil, I’m blown how good and robustly flavored it is. It’s great to cook with in a variety of dishes and I love to bake it as olive oil cake or muffins, and even make ice cream with it since it has so much flavor. Exclusively available at Dean & Deluca: 1/2 liter bottle $32; 1 liter tin $45. 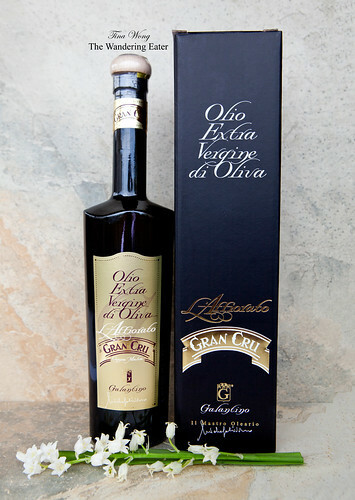 Gran Cru Affiorato Extra Virgin Olive Oil by Galantino is cold extracted from olives hand picked in the groves on the Galantino Family estate. This olive oil is excellent to finish a dish rather than for cooking, thanks to its delicateness and to the richness of its bouquet. 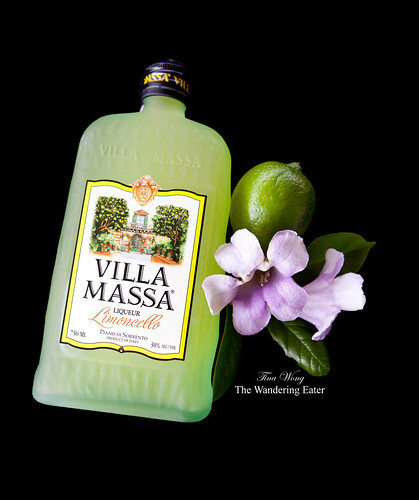 Available at Dean & Deluca, 500 mL $40. Nicolas Feuillatte Blanc de Blanc 2004 ($49.99) Lime and grapefruit on the nose, with a touch of chalk adding complexity. Dry with tightly wound citrus and underripe orchard fruit flavors. The tangy, persistent finish offers very good vivacity. The Millésimé Brut Speciale 2000 ($60) is a well-balanced, elegant champagne with racy acidity and flavors of toast, pears, lemon, smoke and honey. 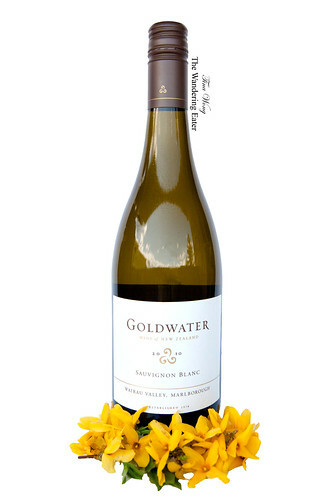 This is a vibrant, expressive bottling that’s easy to like with a wonderful, dry finish. 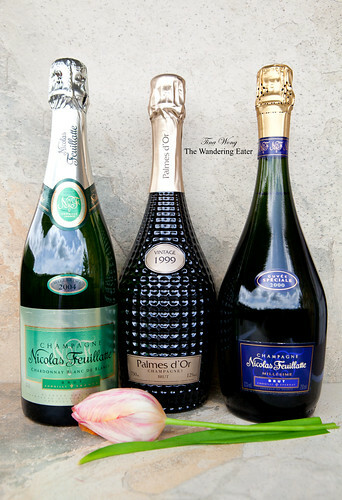 Palmes d’Or 1999 ($125) is a very special Champagne that has hints of toffee and anise run through the fresh quince paste, coffee, and candied orange peel flavors in this supple Champagne, with a rich flavor profile in a restrained package, and a smoky note echoing on the finish. 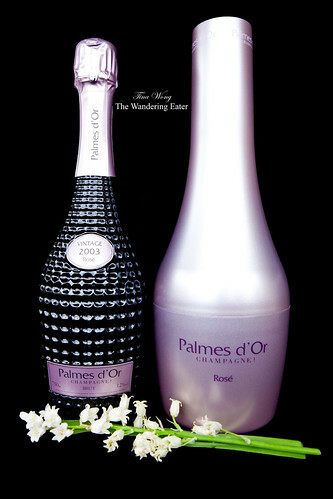 The Palmes d’Or Rosé Champagne 2003 ($150) is a bit darker red rosé, but much fresher in aroma, with huge raspberry character that is tempered by those aged wine/Madeira notes. It’s a very sophisticated rosé with great balance. 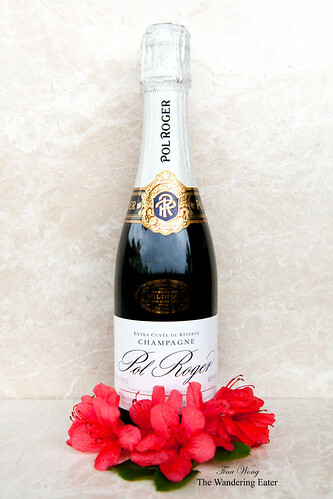 Pol Roger White Label Champagne ($40) is a fresh and apple-y champagne with good mouth feel from the vibrant bubbles. This was the perfect aperitif as well as having depth and a definite ability to age gracefully for a few years. 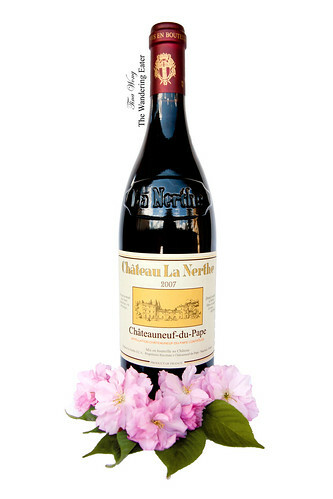 Château La Nerthe is a French Certified Agriculture Biologique (AB) organic wine ($59.99). This wine has an engaging, robust, fruity spiciness when young that makes them perfect for hearty fare. But unlike many wines whose “fruit-forward” flavors just fade with age, the flavors of Châteauneuf-du-Pape blossom with age into complex, exotically earthy ones that are perfect for game or grilled meats. It has aromatics of licorice, blueberry, black raspberry, and leather are followed by a ripe, full-bodied, elegant, accessible wine offering rich fruit, a substantial, full-bodied mouthfeel, and silky tannins. 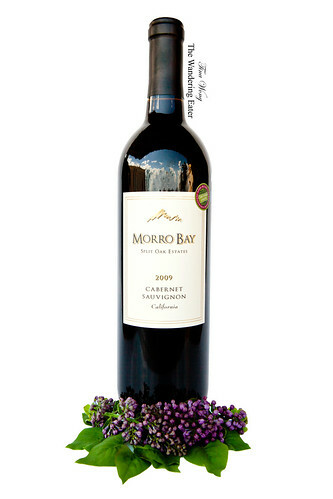 Morro Bay Split Oak Estates Cabernet Sauvignon 2009 ($11) is sourced from several vineyards within the Lange Family estate. The Lange Family have been farming in the Lodi appellations for four generations dating back to the late 1800’s. When I tasted this wine, it’s herbal, blackberry, black currant and some earthiness on the nose. Light entry of slightly watery, herb-tinged blackberry and black currant flavors. Finish is mildly tannic & highly acidic. This wine needs to be paired with food to shine. 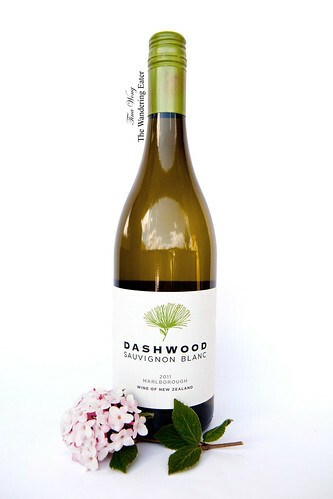 Dashwood Winery Sauvignon Blanc 2011 ($14.99) is a Certified NZ Sustainable wine. This wine is a light straw color. The aromas of gooseberry, citrus, stone fruit, and wonderful tropical fruit notes. Those same bright fruit flavors are on the palate, all in harmony to create this refreshing wine. The finish is nice and has some mineral notes, and just the amount of acidity to make this wine pair well with food. This the kind of wine you want to sip on a spring or summer day. I would pair this wine with fresh goat cheese or light seafood dishes. Disclosures: This is not a paid or sponsored post. All products were tested by me and expressed with my own opinions. All links to the companies’ sites are not sponsored or paid; it’s for your informative use. Great stuff! I’ve had some Robert Lambert products and they are awesome!